Not a huge fan of this film even though there's a lot going for it. The thing I really like about it is the look. And part of this look was achieved with the help of the cinematography by Nicolas Roeg, who passed away last Friday. He was 90 years old. Roeg went on to become an acclaimed director but he never director a PEPLUM film himself. 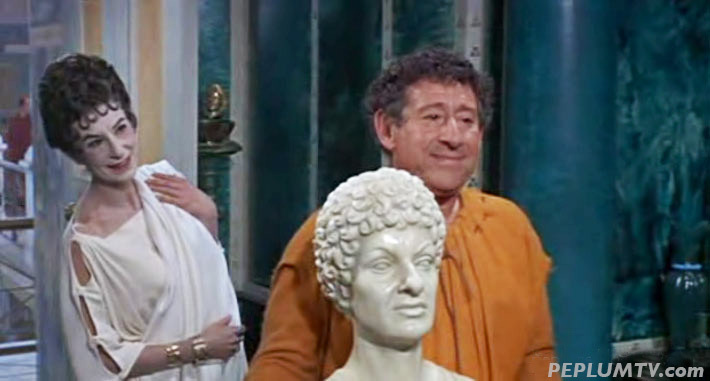 The look of the movie benefits greatly from its having been filmed on the leftover sets for Fall of the Roman Empire.